The Pixie Project doesn’t just rescue dogs. 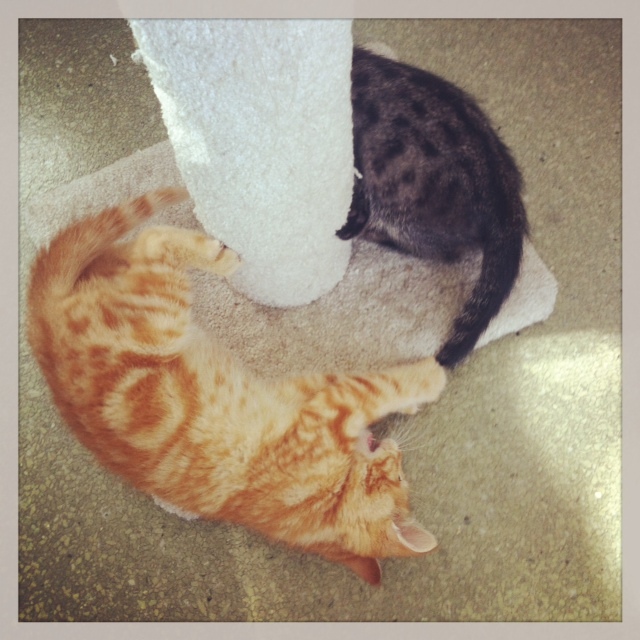 The also have cats! They foster cats and kittens waiting for adoption and the also have a small room with a few cats at the actual shelter. The last time Michael and I were there to walk dogs, I saw that they had TWO KITTENS! Two tiny kittens that must have only been about 8 weeks that were the cutest things I’ve ever seen. Next to my babies, of course. The little tabby was pretty shy and didn’t really like me holding him. 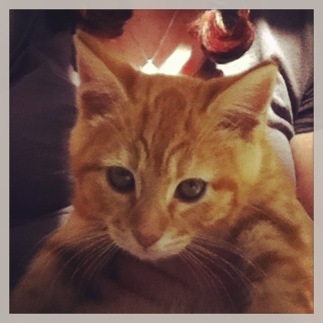 But the orange kitt was a little love bug. She was playful and hilariously uncoordinated. She let me pick her up and cradle her in my arms like a baby. She looked up at me with her pretty little eyes and just gazed. 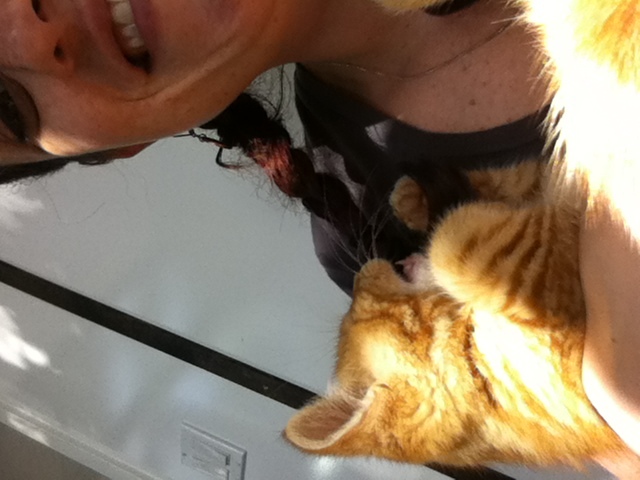 The little bugger discovered my braided hair, too. She started batting at the braid and the realized there was a hairtie on the end of it that was removable and by golly she removed it. I grabbed it just in time before she ate it. Stinker. Have you died from the cuteness yet? Don’t worry, I have two more pictures to share that will send you over the edge. The little baby was tuckered out! All that playing. So yes, it is indeed KITTEN season! Consider rescuing some babies if you’re in the market for a cat. Kittens are a lot of work, though. Don’t disregard getting an older cat. There was one 8 year old tabby that looked a lot like Fat Kitty (but skinnier) and she plopped right down on my lap and started purring. After the kitten play time, it was time to walk some dogs. Michael and usually end up walking a pair of chihuahua named Cindy and Tiki. I’ve written about them in the past. They are adorable and a little odd. They are older and Tiki has some gray hair on his face. Tiki is a great dog. He just wants to smell everything on his walk. He has his nose to the ground and just goes. Cindy is goofy. She tends to pull on the leash and when she stops to pee she does a hand stand. It’s the funniest thing! 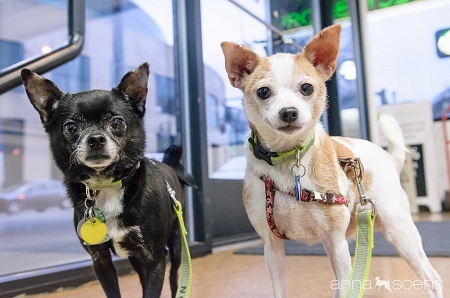 They were rescued from a crackhouse so they are very socialized. Nothing bothers them –bikers, kids, other dogs, nothing. They aren’t fazed one bit. After Cindy and Tiki, we walked Chewy! Chewy was the dog I walked last time I volunteered at Pixie Project on my own, so I’m glad that Michael got to meet him. He’s the goofiest looking dog but SWEET. So affectionate. Chewy has a lot of energy but knows some commands like “sit”. It was a hot sunny day and the dogs were SO HAPPY to be outside playing in it! After walking the dogs we were hot and sweaty and hungry so we went back downtown for dinner. 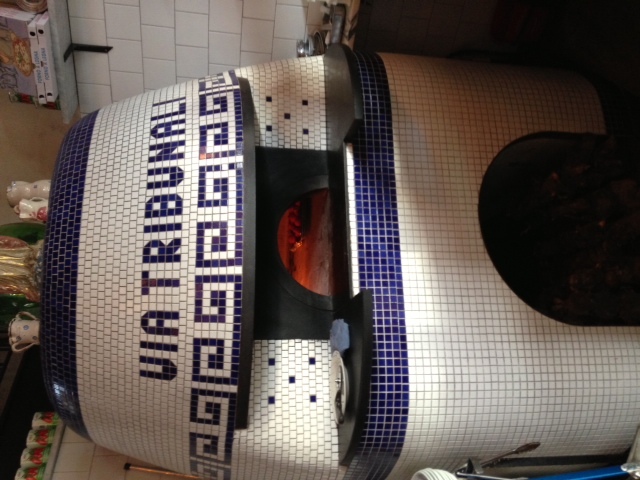 Michael had a Groupon for Via Tribunali, a pizza place in Old Town. What I love about Groupon and Living Social is that it gives us the opportunity to try new places I haven’t heard of. I never would have known Via Tribunali was even there! The place was really cute and had a perfect location– right next door to Voodoo Donuts. There was outdoor seating and plenty of people-watching opportunities. The wait staff was really friendly and quick. It was a pleasant experience. We ordered the “SALSICCIA E CIPOLLA” pizza. 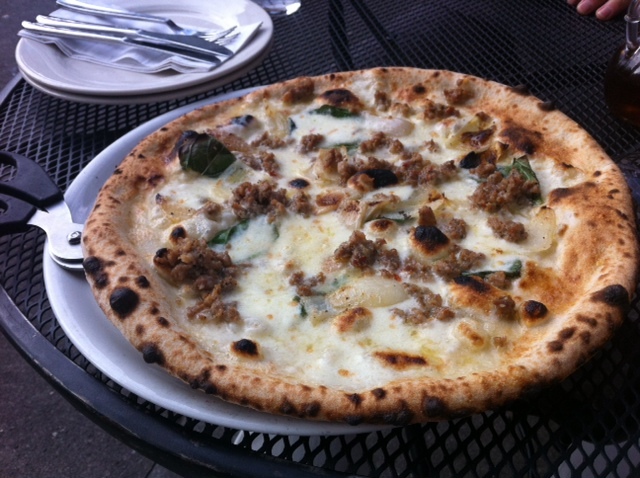 It was Italian sausage, oven-roasted onions, fresh mozzarella, basil, grana padano cheese. It was a white pie, no mozzarella and they brought out sweet chili oil to go with it. Loved the chili oil! It was a smallish pizza, perfect for two people to share. I had three pieces and that was perfect. It was thin crust and the crust was smoky and crispy. They also brought out scissors to cut the pizza! I’ve never seen that done before but Michael said that was how his grandma cut pizza. The had a huge, gorgeous pizza oven that looked like a piece of art. It was a great place and we had a good dinner together. I’d definitely go back to this place! Man, what a post! Kittens, dogs, pizza. The trifecta of happiness. 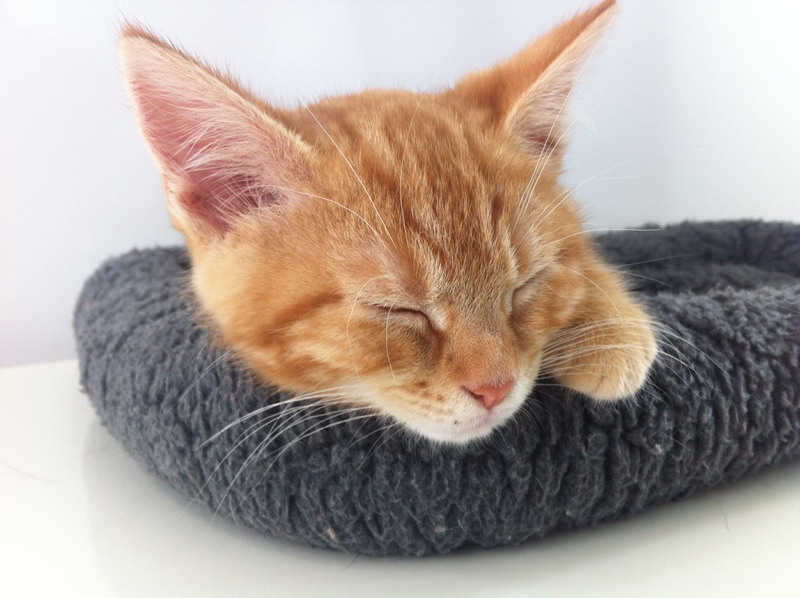 QUESTION: Are you getting kitten fever? I had actually heard of the Pixie Project because I checked out the eyeglasses from Fetch.com who donate their proceeds. So rad! Cool! That’s great that you checked them out. When I go to volunteer I see a big display for the Fetch glasses but haven’t looked at their website yet. I need to do that. I love supporting companies that donate proceeds to charity. Awww so adorable! 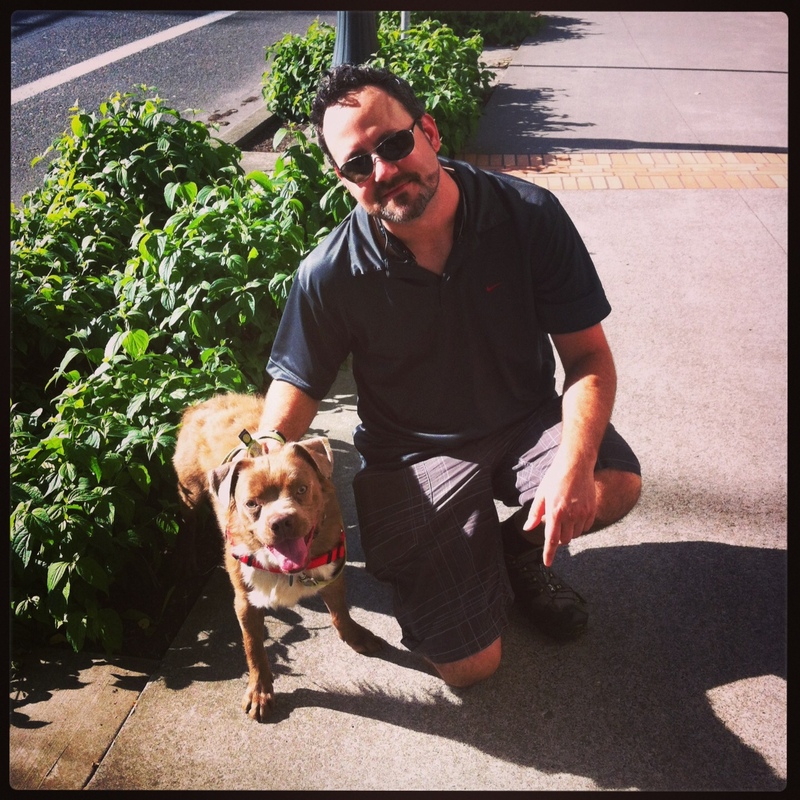 I used to walk dogs when I was younger for the local humane society and now you make me want to do it again! Cutting pizza with scissors? I’m going to have to try it now at home lol! Oh you should totally volunteer again! It’s so much fun. It makes me feel happy and useful. Awww Charles sounds like a cutie! Glad you guys rescue kitties. I hope you get them fixed too! On the fixing – yes! 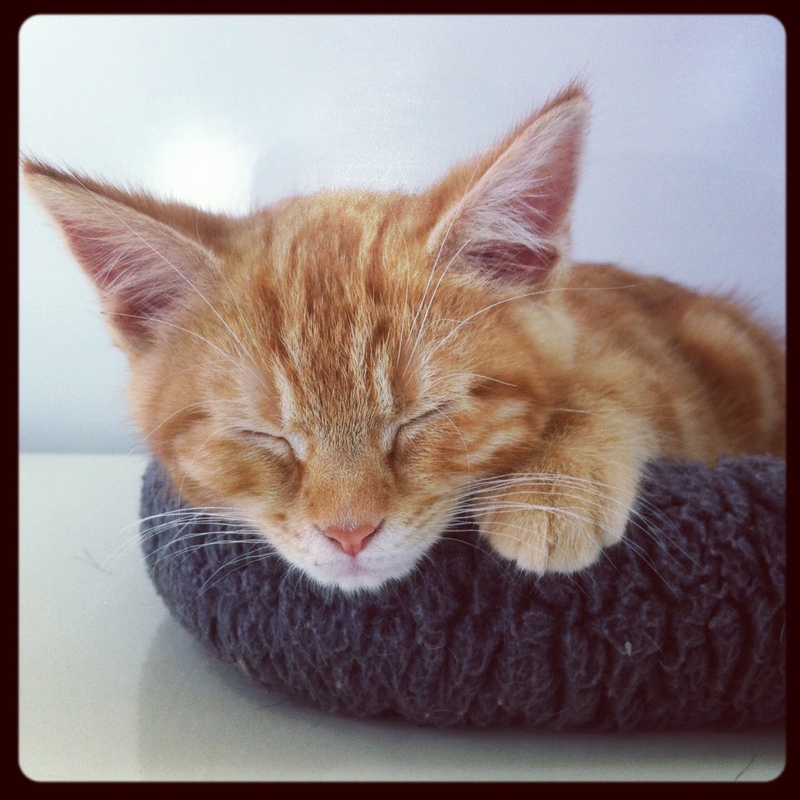 We are kind of the go-between of rescue, vet visits and then helping to get kitties new homes. Miz recently posted..How do you FRAME yourself? I want them too! My hubby would go crazy though because he is not much of an animal person. We do have a dog and a cat but he puts his foot down with one of each. Well, if I begged he might relent. . . I understand. There’s a fine line between having pets and having a zoo!